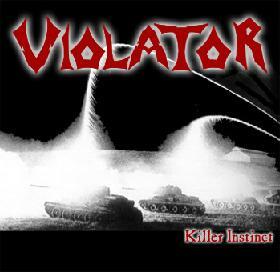 Violator got together at early 2002 by friends that have no pretensions beyond playing the old Thrash Metal. The essence keeps the same since that. 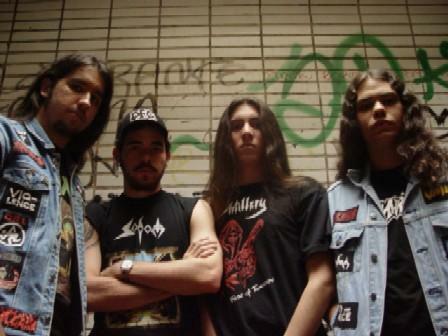 Four Thrash Maniacs - Pedro “Poney Ret” (vc/bs), Pedro Capaça (gt), Márcio “Cambito” (gt) e David Araya (dr) - crazy about Vio-lence, Whiplash and Exodus that breath the spirit and the ways of Old School Metal. After a live rehearsal demo (Killer Instinct - 2002), two underground compilations (Metalvox .. 1 e Fast Food Thrash Metal both from 2003) and a plenty of gig in all dirty holes from Distrito Federal and neighborhoods, Violator got the opportunity to travel to Asuncion and play in Paraguayan lands. Among that, the band was invited as an open-act for the Thrash Metal legend, Destruction and the American deathbangers, Malevolent Creation. In the first months of 2004, the band got in touch with Kill Again Records label from Metal Bloods Editor, Antônio Rolldão and after that union, what was supposed to be a second demo, turned into an EP, Violent Mosh. 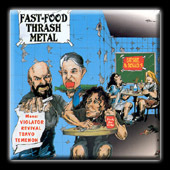 Four songs of intense Old School Thrash Metal, no open for modernity. The strong label work, together with a hunger for playing live, results in over 40 gigs in the next two years. Violator travel through 10 Estates and had the honor to meet thrashers from all over Brazil. The tour for ending the EP promo, Moshing With Violence Tour 2005 cross Brazil north-east and allowed the band to play in the middle of Amazon Rainforest, in the city of Portel, after facing 20 hours of boat. One of these thrash gigs was record for the fist edition of Da Tribo Rock Magazine. 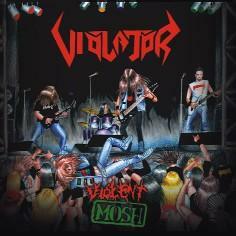 It came o stores of all country, with a DVD that register Violator performance in Campinas/SP. Violent Mosh was also the first release from the band in foreign lands. In a K7 tape version, just like the old 80s bands, the EP was discharged in Bolivia by Grim Art Prods. A 666 copies limited edition. The search for the EP overflowed all expectative, what leaded to another release fom it, but this time as a split with one of the greatest Brazilian Thrash bands, Bywar. From the union of Violent Mosh with Invincible War first álbum from the São Paulo headthrashers - Violent War was born, and brought a Violator special bonus, a version for Taurus Massacre, historical band from Brazil. In late 2005, the band got the worst news of all times. The guitar player, friend and brother, Juan Leda, got to leave the band to continue the studies in Argentina, land of his family. The farewell show was with Filandian thrashcore Maniacs of Força Macabra, a gig to remember, with underground spirit and United Forces. Those were feelings that the band always believed. Juans left out, did not decrease the will of doing Thrash, living Thrash and breathe Thrash. Violator follows the beginning of 2006 as power trio. After six months locked up at Orbis studio in Brasília, the band comes up with the first full-lenght, Chemical Assault. The album release, in october of the same year, is also the return of the group with two guitars. Márcio Cambito joins the band and brings even more speed to the picks ans insanity to the alive perfomance. The spandrels violators are stronger than ever. The Violation Has Just Begun!